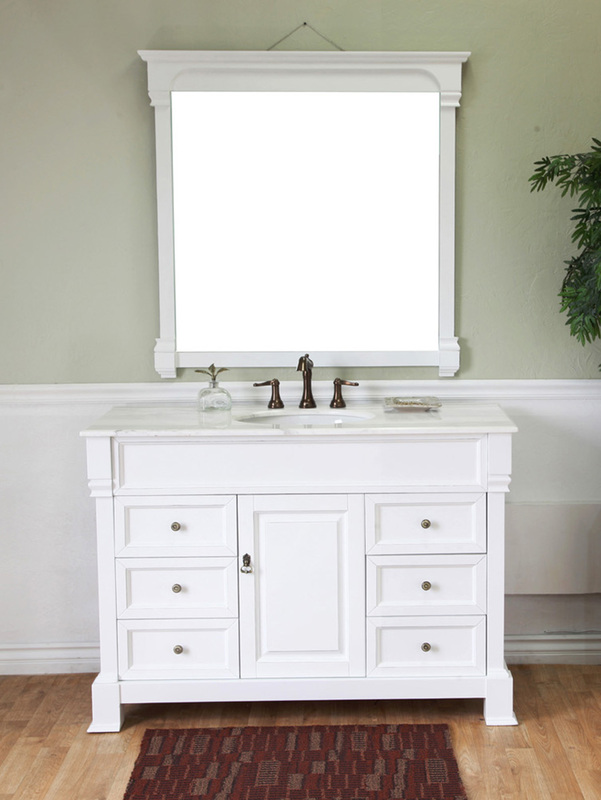 Add some traditional beauty to your bathroom with this great looking Helena Large Single Vanity, which is sure to brighten up the room with its white finish. 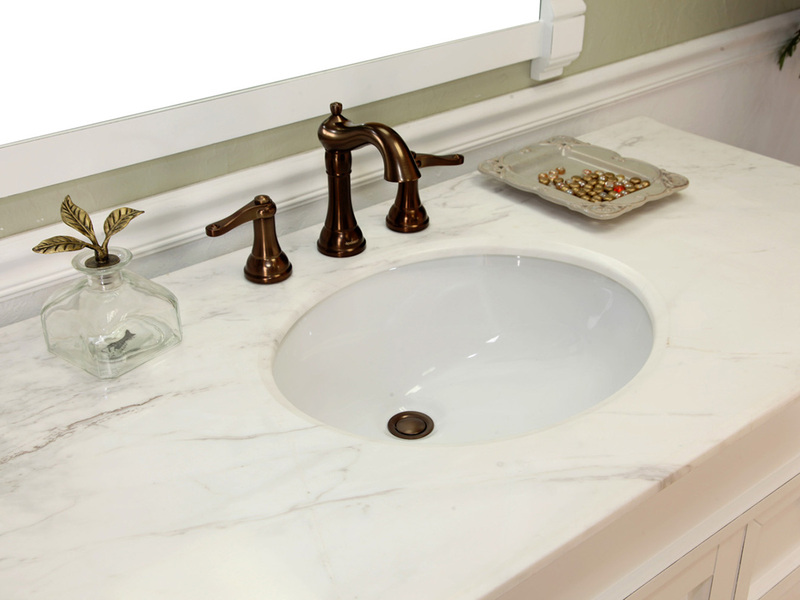 The beveled legs and faces of the cabinet combined with the white marble counter top make this a great looking traditional vanity. 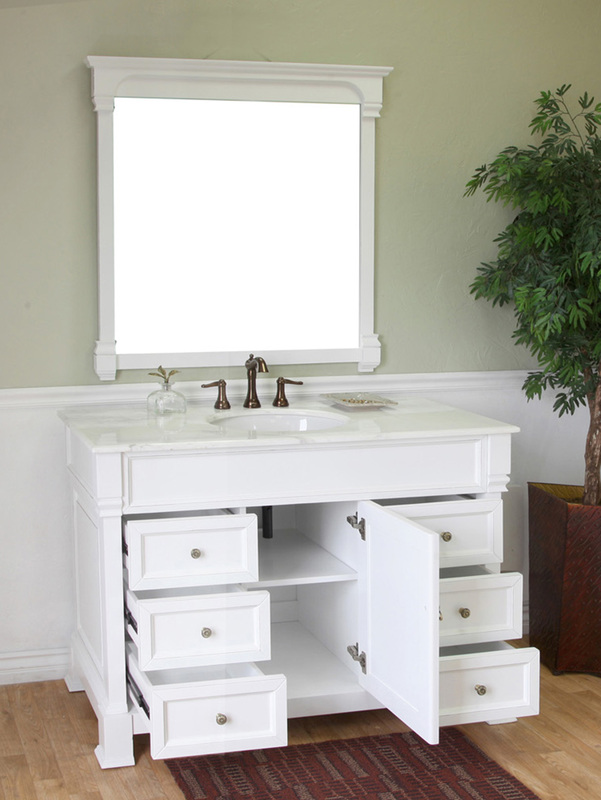 With plenty of counter space above, and lots of storage options below, this vanity is a practical as it is beautiful. 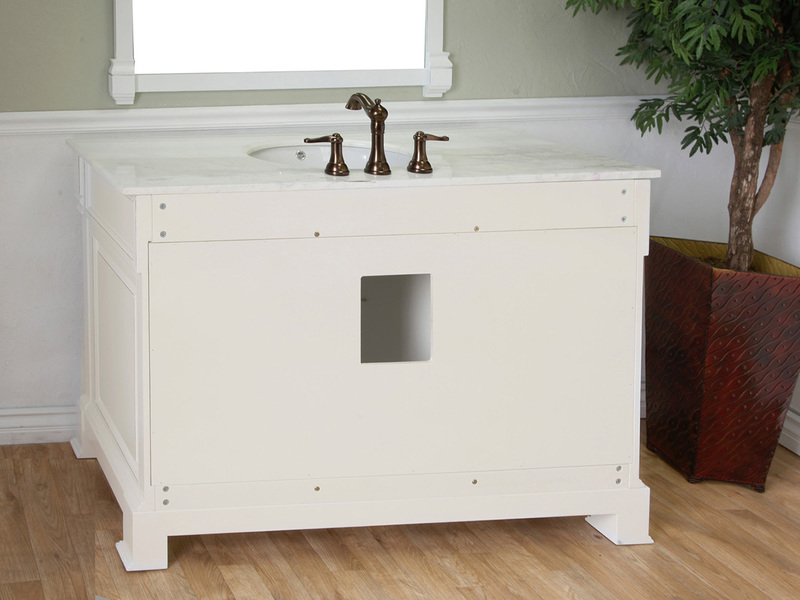 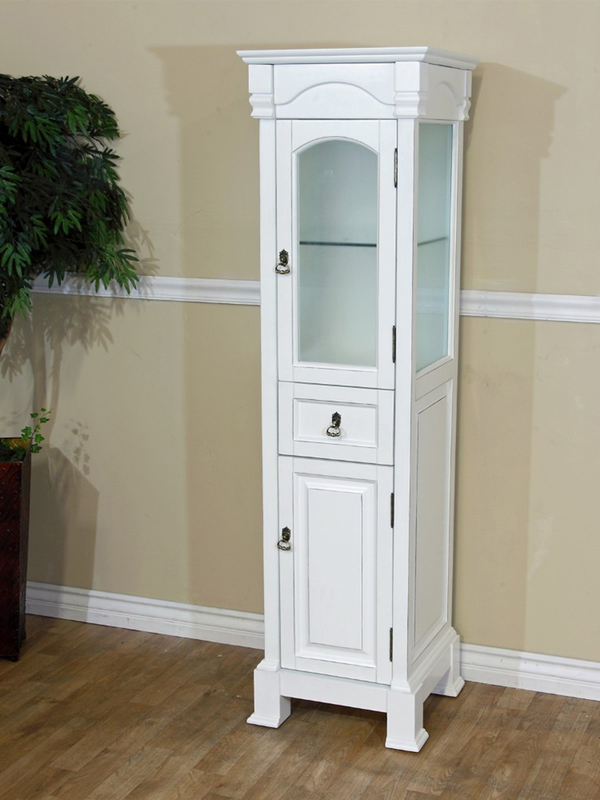 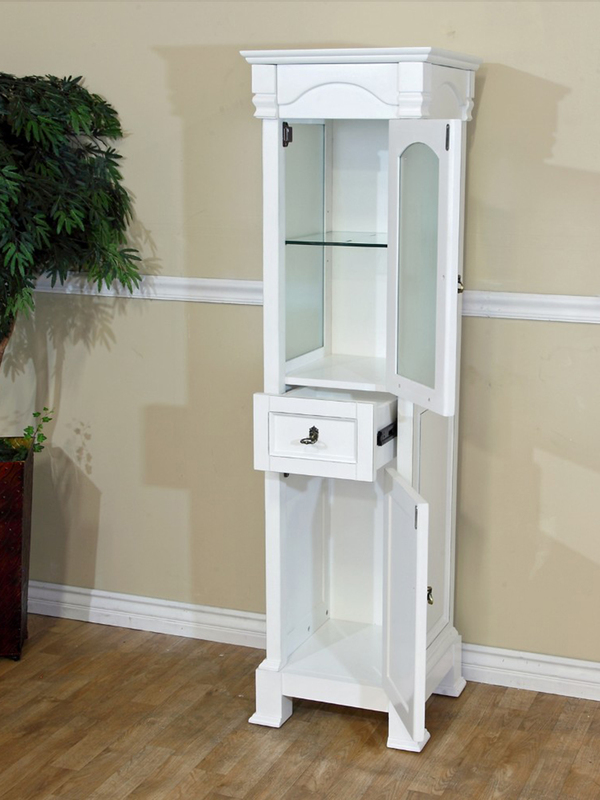 The cabinet is constructed from solid birch wood, and is protected by a water proof finish against humidity. 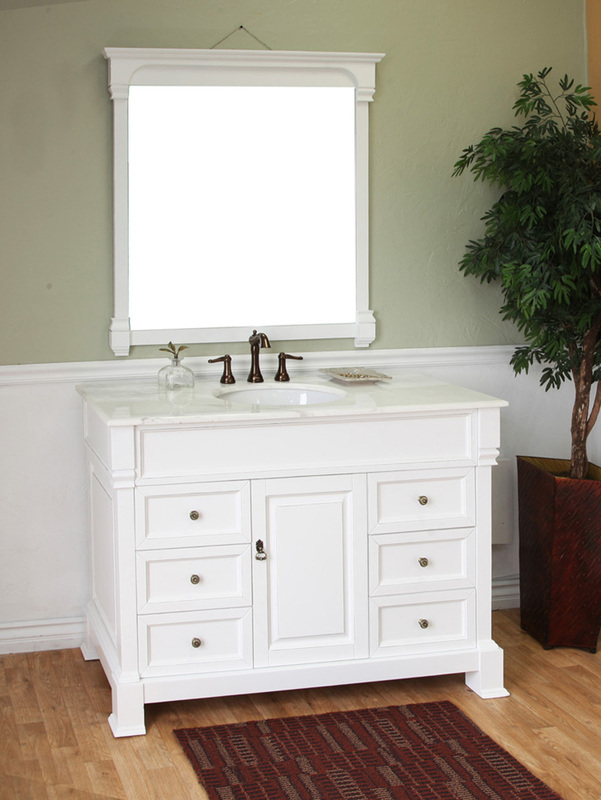 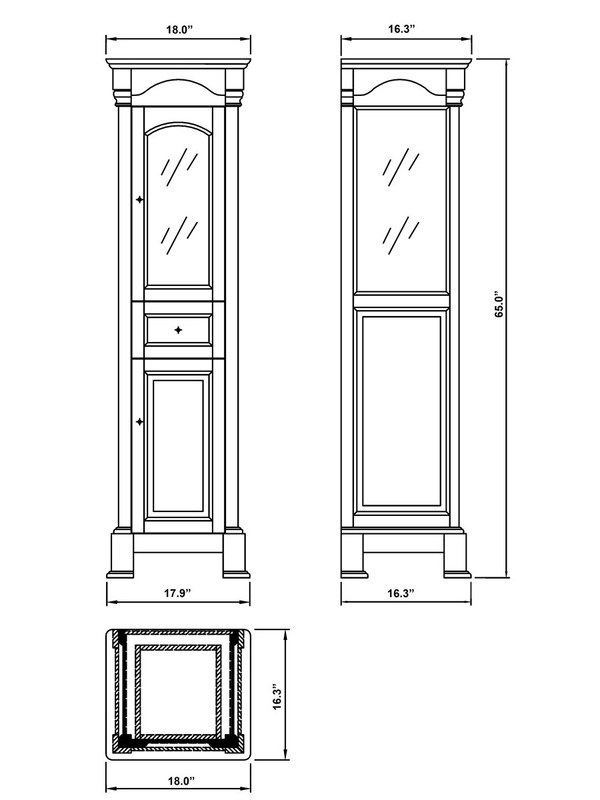 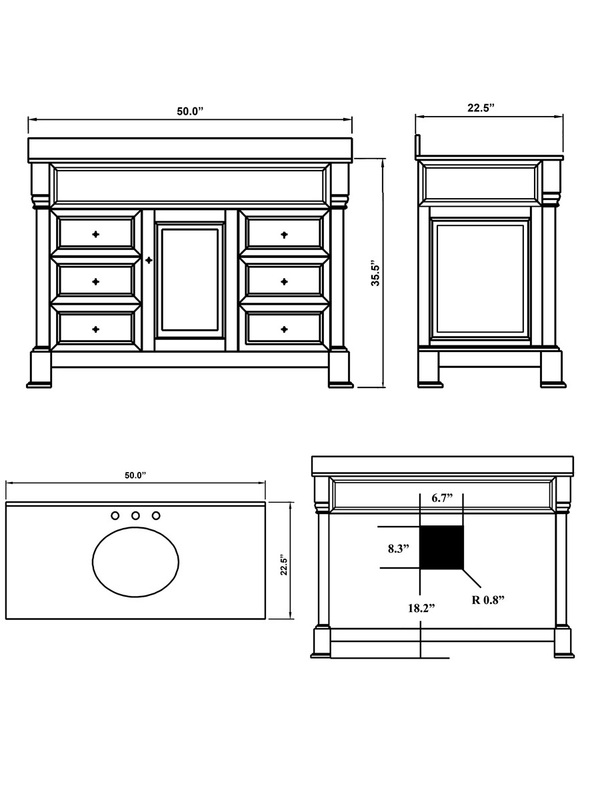 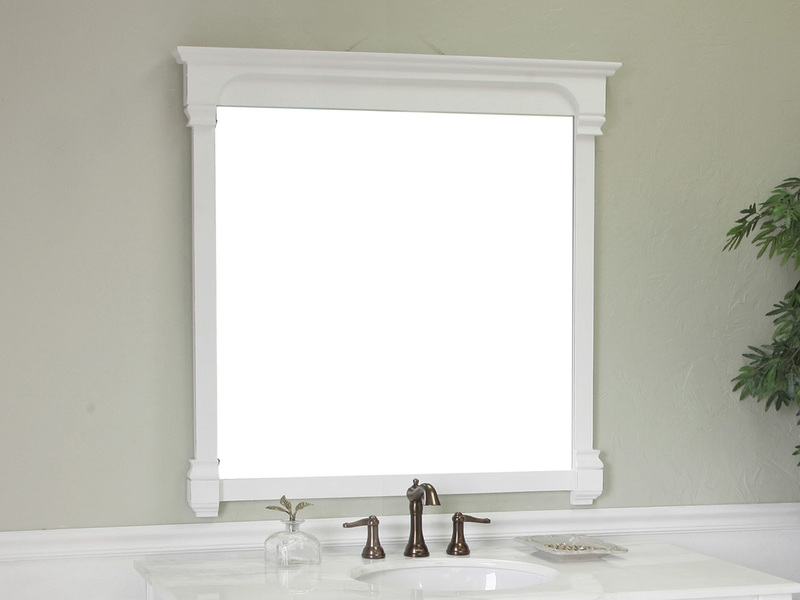 The vanity has an optional framed mirror and linen cabinet available in the same great style and finish, so you can completely outfit your traditional style bathroom.